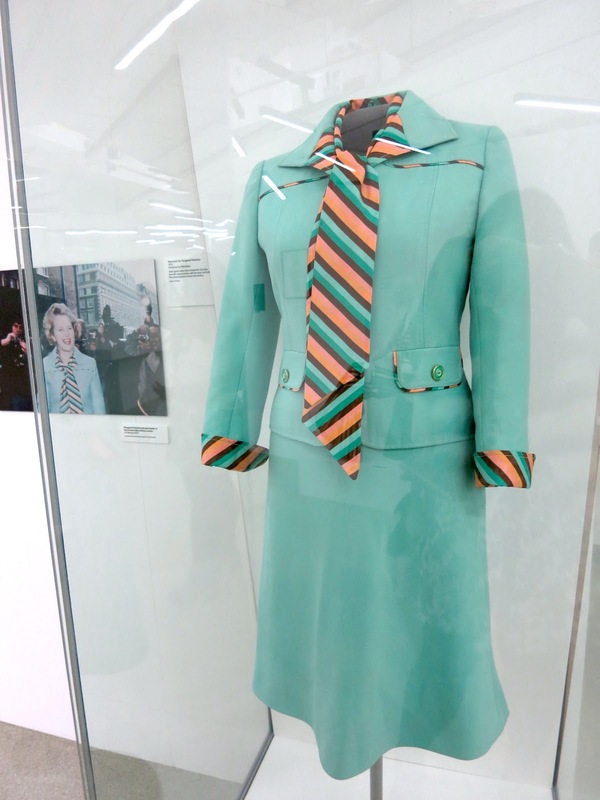 WOMEN FASHION POWER is a new exhibition at the Design Museum that celebrates women of influence in a variety of occupations from all over the world and explores how they view fashion, as well as use it to further cement their place in today's society. 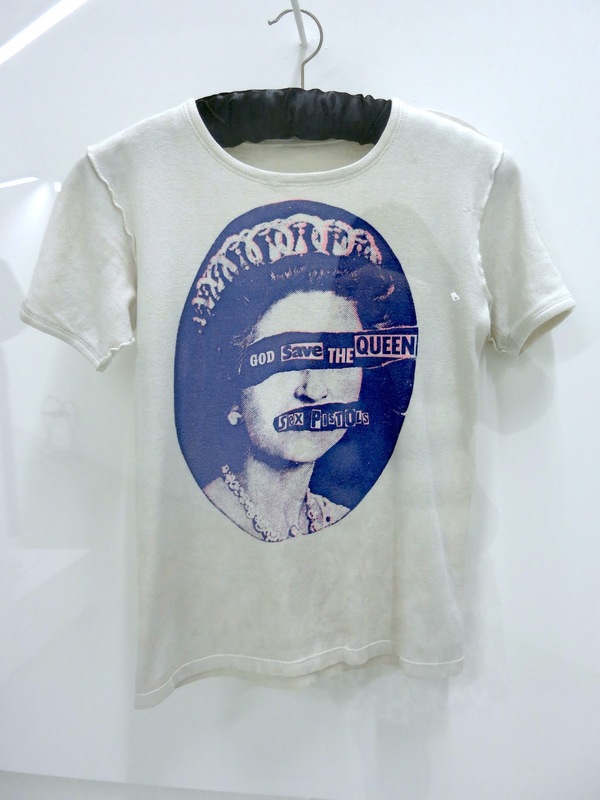 The exhibition showcases clothing, photography, as well as footage and interviews from the twenty-six contemporary women who are involved. 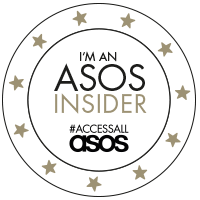 With the likes of designers Vivienne Westwood, Dame Vivienne Westwood, and Charlotte Olympia, founder of NET-A-PORTER Natalie Massenet, HSH Princess Charlene of Monaco, and director of Liberty Shami Chakrabarti behind it, it's inspiring to see how much of an impact these ladies have had on our wardrobes. 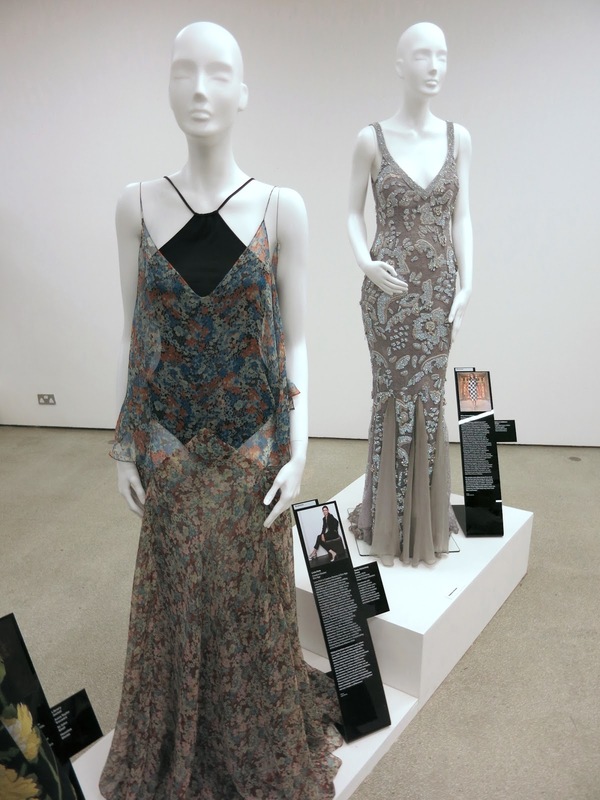 Last month I was invited to a bloggers breakfast and tour of the exhibition with the curator Donna Loveday, and she gave us further insight into the different sections to it. There are three main areas to show, the first being a corridor entitled Power in Fashion that introduces the whole concept of power through dress. 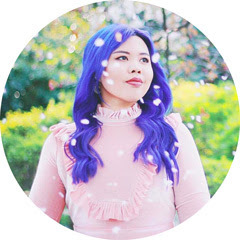 Selected images of powerful women through history, dating back to the likes of Joan of Arc and Cleopatra, moving through to Marie Antoinette, Margaret Thatcher and then up to Hilary Clinton. It looks at how women have used dress to project authority and there's a really interesting juxtaposition of images in that area with Joan of Arc alongside Elizabeth I. One in a battle dress as someone who's used a very masculine silhouette to project power whereas Elizabeth is in a very opulent gown, both expressing an invincibility in very different ways. Then we move into the central timeline area. Fashion often mirrors what's happening in society and as women's roles were changed, fashion has so often reflected that. The timeline goes by decade, with selected key political, social, and cultural moments that have helped to change women's roles in society as well as ones that have had a direct impact on the way we dress. The timeline starts at 1850 and examines the corset in the Edwardian era. While creating the very fashionable hourglass figure was quite uncomfortable, gradually it was liberated and corsets became lighter as well as front laced to eliminate the need for another person to have to do it up. When women taking up sports started becoming more and more popular, fashion had to adapt to that. Amelia Bloomer, a women's rights advocate at the time introduced the two piece so there was more freedom of movement to be had. Moving on to the impact of the Women's Suffrage movement and their fight to get the vote, it's interesting that women at the time wore very typical Edwardian dress which was a deliberate political strategy in terms of presenting themselves as very ladylike in the light of the negative stereotypes that were being directed at them, portraying them as mannish, vulgar and capricious. 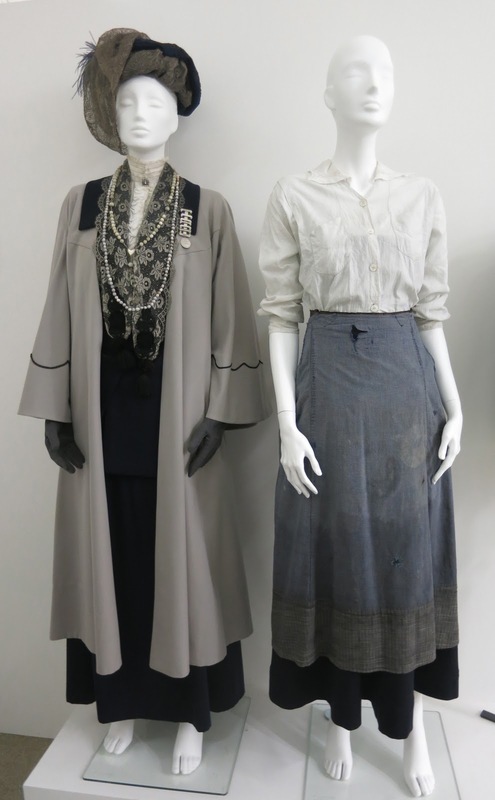 Pictured above are two costumes from the upcoming film Suffragette (left is Meryl Streep's and right is Carey Mulligan's) and an original suffragette hat. The emergence of the department store in the mid 19th century really revolutionised a more democratic way of shopping for women. Even restrooms were very significant at that period because it was a space where women could congregate, look at catalogues and just generally come together and talk. Continuing to move up the timeline, as well as introducing new fabrics, Coco Chanel popularised trousers. 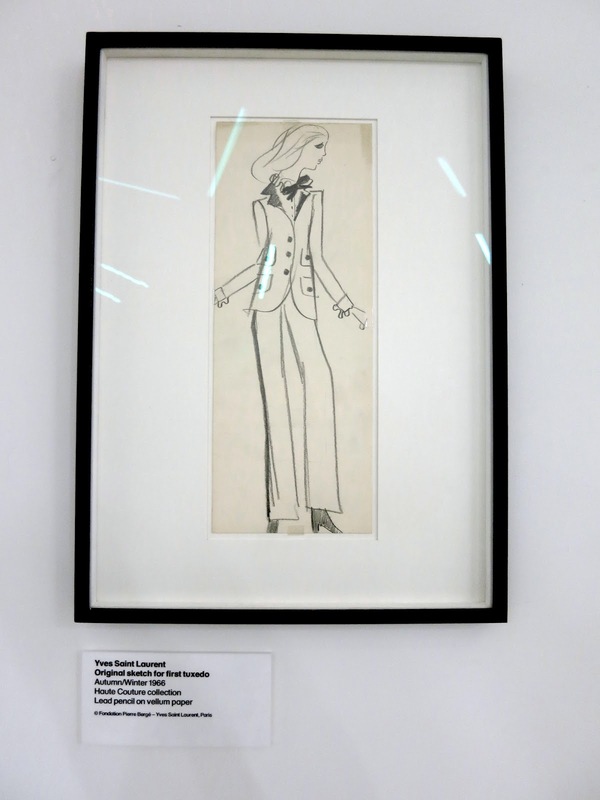 One of the first female celebrity designers after Chanel was Elsa Schiaparelli, whose personal items appear in the exhibition, including a pair of shocking pink trousers (so much so that they reflected against the white walls) that inspired bright colours in women's wardrobes. The 1960s was a period of seismic change for women's fashion. Mary Quant opened her shop on Kings Road and as we look at a growing teenage market, she introduced much more affordable fashion. Twiggy was one of the first supermodels of this period, discovered when she was 16 and evoking the wide eyed look that she popularised. Another significant figure was Vidal Sassoon who really liberated women from spending a lot of time at the salon, he introduced the bob which was essentially a 'wash and go' style. The final section is called Women In Power and focuses on contemporary women working in different sectors today. The women chosen explain what clothes mean to them, what they wear, and why they wear what they do. What they feel it expresses about them. Each of them have contributed an outfit to the exhibition which for them is not only representative of their workloads but also expresses empowerment. Women's roles have changed over the decades and given them more choice and freedom in what the wear and ultimately the positive message that comes through is that women don't feel that they are slaves to convention but they're free to express themselves through clothes. Television presenter Kirsty Wark, who is one of the women who contributed to the exhibition said that "Clothes are an extension of ourselves, there's no getting away from that," and insists that women don't have to dress a certain way to be seen as authoritative, "Now there is no such a thing as power dressing but there is such a thing as dressing in a way that you feel is comfortable, settled, stylish and authoritative." 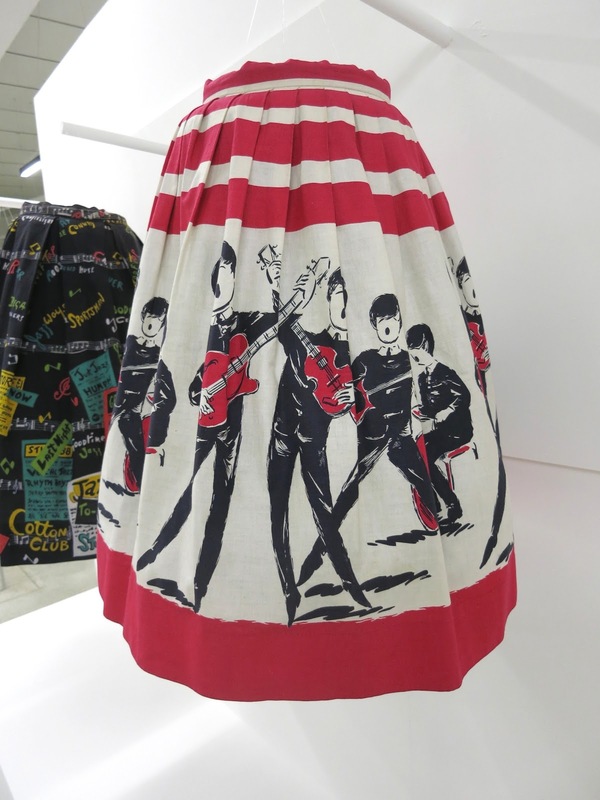 WOMEN FASHION POWER is at the Design Museum in London until 26 April 2015. This exhibit looks amazing. So many incredible pieces! OMG this is amazing!!!!! x A. Awesome and interesting exhibition! I would like to see it!